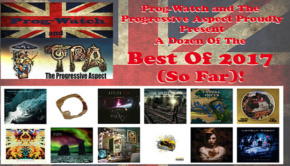 It is always a treat to be reviewing anything beamed down from the rarefied world of Karda Estra, and the new(ish) EP Future Sounds is no exception to that rule. 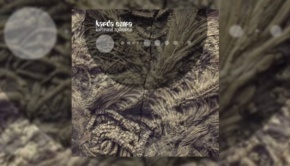 Karda Estra, aka Richard Wileman, has followed up their last album proper, the superb Strange Relations, released in January 2015, with two texturally different EPs. The first of those was The Sea And The Stars, released in August, and here we have the second, Future Sounds. Released in November it is a collection of sound paintings even more esoteric than what preceded it, and the discerning listener will find plenty to enjoy within these zeros and ones. Richard writes, produces and arranges the music, which is mostly played by him alone, with occasional assistance where needed, as you can see from the credits below. Among the many instruments credited to Richard is a “Prepared guitar”, which always makes me smile. Is an unprepared instrument one that screams when picked up “No, you can’t play me, I’m way out of tune!”? I have always seen Richard’s music as soundtracks to imaginary films. Whereas The Sea And The Stars was an all-encompassing sci-fantasy movie, Future Sounds is a Hitchcockian thriller, right from the innocent if unsettling scene-setting presumably wrought out of the mysterious droning rastrophone, leading up to the discordant murder scene, followed by the dismemberment of the body and its subsequent disposal. 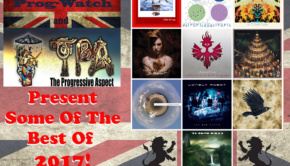 That probably says more about the murky corners of my imagination than it does about the music, but Karda Estra’s minimal groove, which if anything is closer to modern and avant classical music than it is to rock or jazz, inevitably lends itself to such synaptic flights of fancy. It seems I am not far off the mark either, as the highly abstract Yondo was inspired by The Abominations of Yondo, a collection of bizarre stories laced with horror by Clark Ashton Smith. Either Richard’s piano or treated guitar more often than not leads the way, but Ileesha Wileman’s beguiling multi-tracked wordless vocals on Season’s Greet add another layer of mystery; I’m not even sure they are wordless, but if they “say” anything it is best left to one’s imagination. Reverberating guitar and a nice synth line, later joined by Amy Fry’s clarinet, complete the most detailed musical picture on the EP. Paul Sears provides the only percussive backing on the EP on Niall, his economic use of snare drum pinning down the otherwise creepy but fleet-of-foot tune, which also features a strange but effective guitar break. To call it, or any other instrumental feature, a “solo” would be wide of the mark for this is an “ensemble of one” of some class. 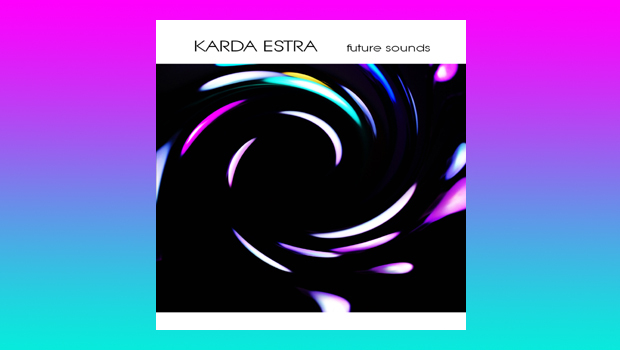 Expectations where Karda Estra are concerned are few, but such as they are, Future Sounds has confounded them once more. 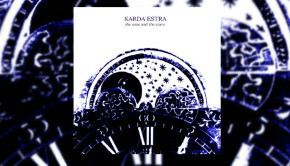 If you are new to this one-man band, this is as good a place as any to start, and once drawn in, there are many other esoteric excursions to peruse on Karda Estra’s Bandcamp page. I would love Richard Wileman and Emmett Elvin to collaborate sometime, an enticing prospect that could be really interesting!